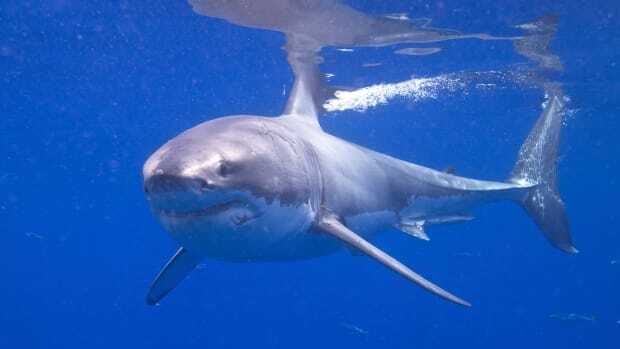 Kimberly Jeffries was examining aquatic life feed on a whale carcass off Oahu, Hawaii, when “Deep Blue,” a great white shark estimated to be at least 20 feet long and weigh 5,000 pounds, came in for a snack. Scientists have been tracking the shark for many years, and believe it is one of the largest great white specimens ever captured on camera. 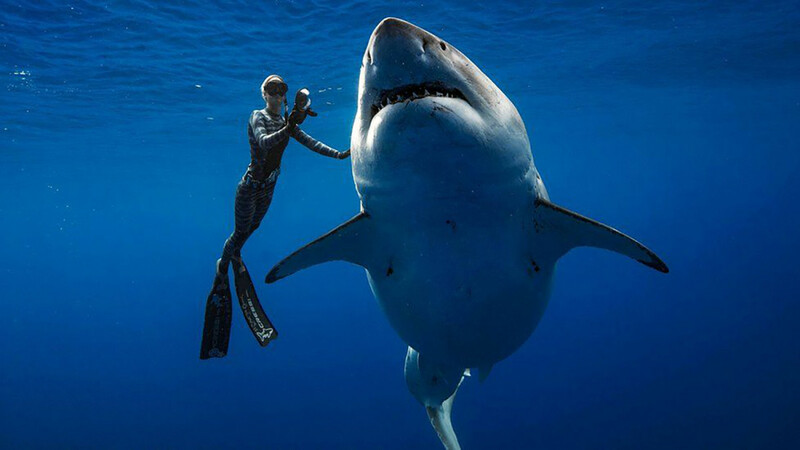 Shark activist Ocean Ramsey took it one step further and swam with the huge female shark, a move that prompted criticism from marine biologists. 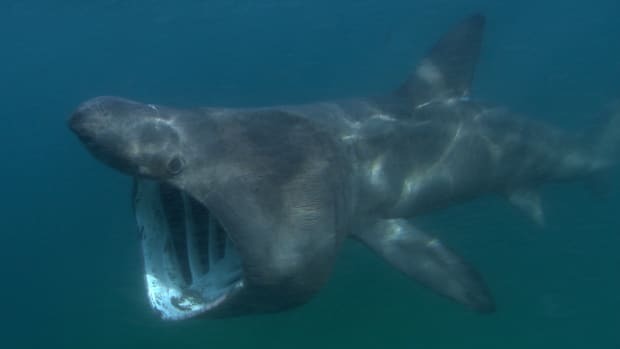 While the video is breathtaking, some scientists view the move unkindly, saying divers shouldn’t try to hitch rides with these animals. This video shows the encounter. You can read more about Deep Blue by reading this Huffington Post article. What’s On The Menu At The White Shark Café?